So to celebrate this special release, we are giving away a $30 gift certificate to THREE lucky winners! Please leave a comment here on the Altenew blog for a chance to win. The winners will be announced on Tuesday, December 12th. Also for a further chance to win please check out what some of the scrapbook design team did with this set on the Altenew Card Blog. Thanks for showing us how all the layers work in this stamp set. Carnations are always so pretty and fresh looking and the projects are gorgeous! Carnations have been my favorite flower for a long time. This set makes an incredibly lifelike flower, I can almost smell it! Such a beautiful stampset under the BAF collection and superb inspirations from the team 🙂 Thank you! The stamps are great and the leaves make delightful images on their own too. This stamps looks so life like, I love it. Lovely details on this set! WOW – WONDERFUL projects to introduce these GORGEOUS flowers! I am in awe, they look SO REAL! What a wonderful layered stamp set. Thanks for sharing. this would be a nice addition to anyone’s stamp set. This is a very realistic stamp set that works beautifully with the Altenew inks. 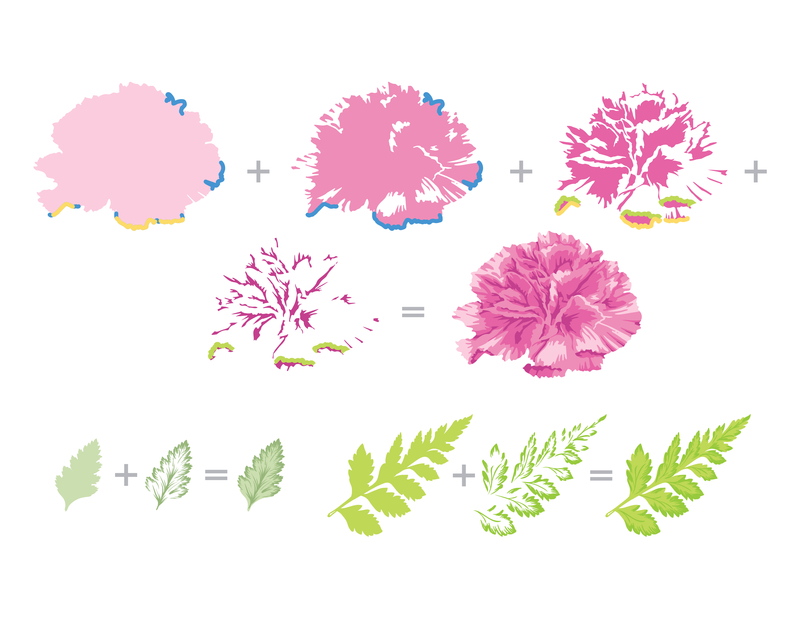 Wow, this stamp set really creates the most realistic looking carnation, just amazing!! Definitely on my wish list! Beautiful. I love the carnation because there are so many color choices and it can be used for so many different occasions! Love this months floral release! This is a beautiful set with lots of possibilities! thanks for the inspiration! They look so real! Great job showing how to use these stamps. This is a gorgeous stamp set and your inks make it so easy to get it right! Thank you for the chance to win a gift certificate! Wonderful stamp set – love the build-a-flower sets! Those bookmarks are spectacular. 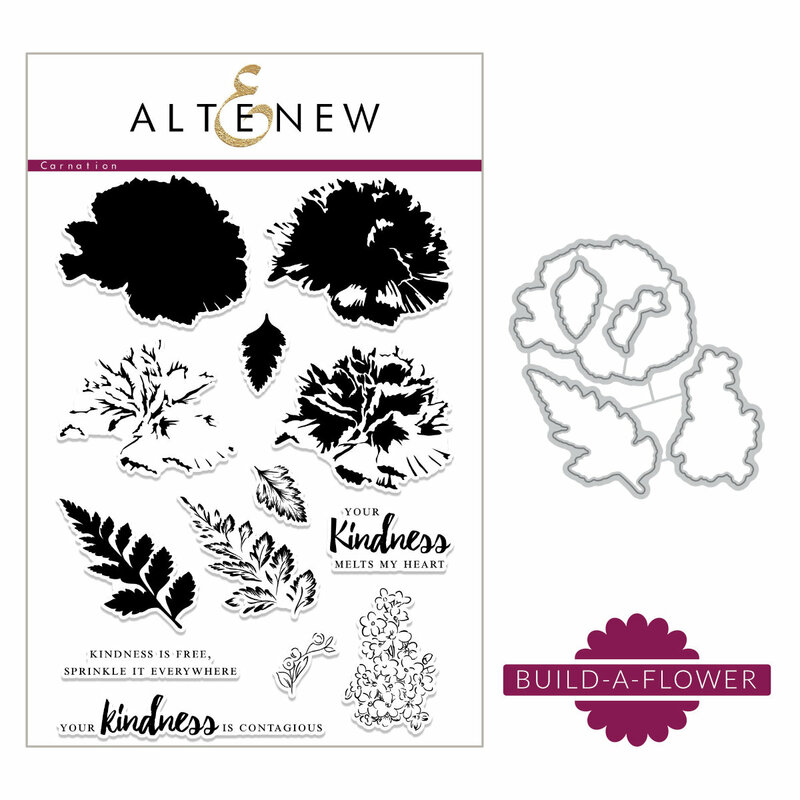 I love the Altenew layering stamp set as well as their inks and other wonderful products! Love these gorgeous examples of this layering stamp set! lovely! Those bookmarks are really pretty….and probably not a whole ton of effort involved…the stamps do most of the work for you! I love how the carnation is colored with the fern. I love the carnation because you can make it in any color. Gorgeous! Love these flowers and they are so versatile and can be colored in so many different ways.. Nice flower of the month. So awesome!!!! I am inspired! I’m so excited about this flower release! I can see so many possibilities with color choices and uses. It’s gorgeous! I have had my eye on these build a flower sets for a few months, and once the holiday season is over, if Santa does not come through, I plan to purchase one or two of them. Amazing projects with these lovely carnations! Such a pretty stamp set! I love the cheery look of carnations! This another beautiful set! Love how realistic the flowers are! One of the prettiest layering stamp sets yet! Just beautiful! Such a stunning floral. These layering stamps produce lovely results. Such fun ideas. I’m new to Altenew products. I love the quality. This stamp a amazing! Love all the creative cards. Gorgeous projects! Loving the carnation set! Carnations are one of my favourite flowers! Thanks for sharing. ? love the latest carnation stamp and die set, I would love to purchase one of these layering stamps they just look so beautiful and it looks so easy! So fantastic ideas with the new release. Love layering stamps. They are so lovely cards and projects.. love these carnations..